It looks like the Wiki is heavily updated and there are lots of active users. It feels good to have another site dedicated to Quake 1, especially for engine development, modding and QuakeC programming. 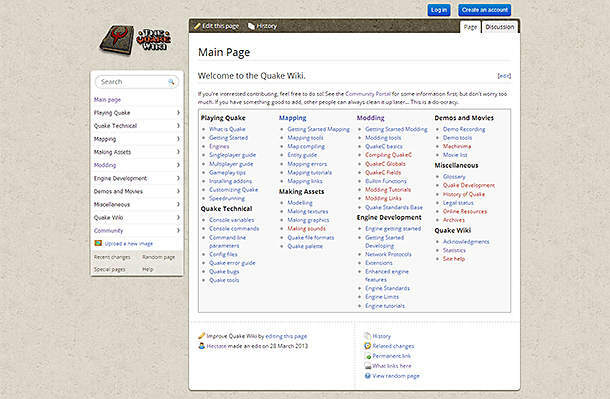 Note: QuakeWiki.net (this site) is not affiliated in any way with QuakeWiki.org. We just like the same game.